Lithuania is a country with rich history, beautiful scenery and Baroque architecture that will undoubtedly soon be a firm fixture on the destination hotlist. One of the three Baltic states, it is situated along the southeastern shore of the Baltic Sea, to the east of Sweden and Denmark. It is bordered by Latvia to the north, Belarus to the east and south, Poland to the south, and Kaliningrad Oblast. 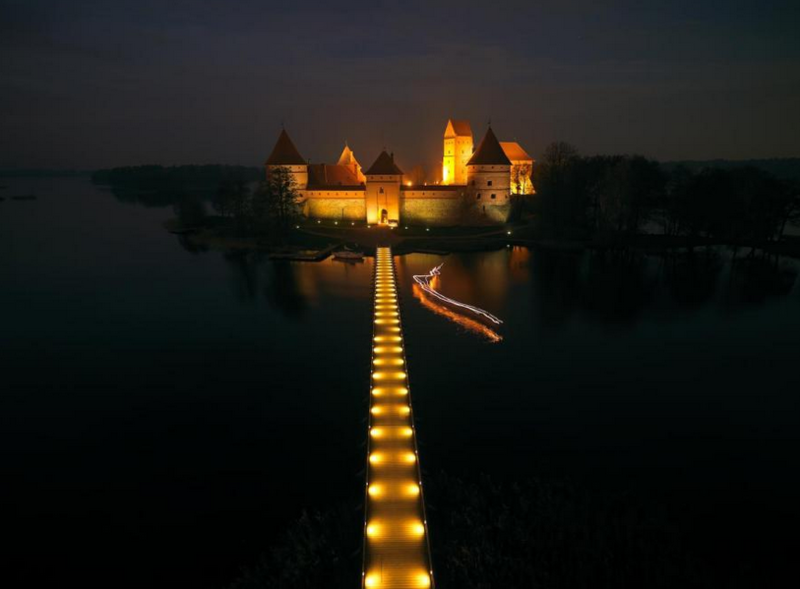 Trakai lies a quick 28 km (17 m) west of Vilnius Part of the pleasure of the journey there is the wild, lakeland terrain scattered with forested islands. The town sits sandwiched between the waters of lakes Totoriskis, Lukos and Galve. 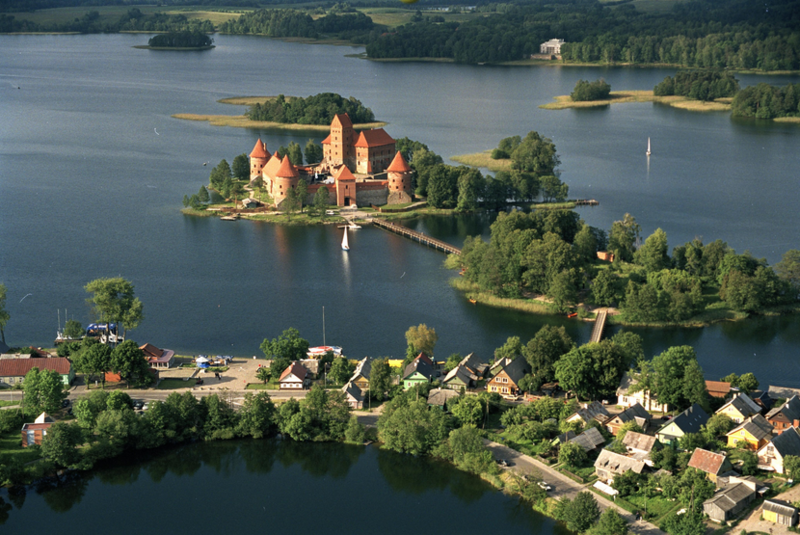 For visitors staying a little longer than a day, Trakai sits among a landscape of rolling hills and more than 200 lakes and offers tons of activities. 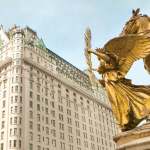 In the summertime, the city is a center for water sports like sailing, rowing and fishing in the summer, and is a year-around hiking and cycling destination. 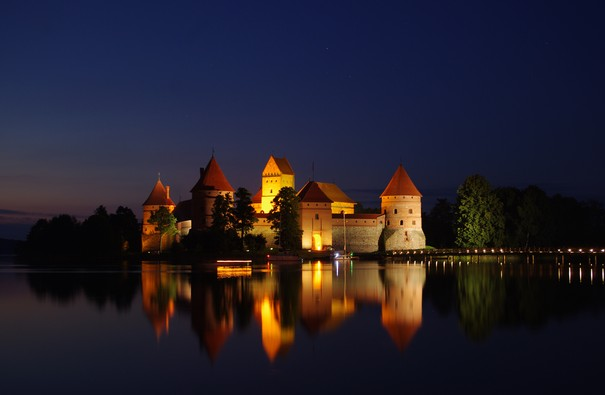 It is surrounded by the Trakai Historical National Park, protected for the marshlands and forest-fringed lakes formed during the last Ice Age, as well as its own position as the historical heart of Lithuania. 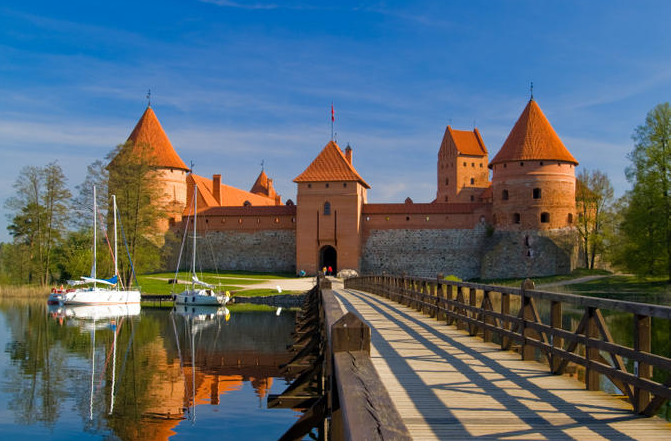 Trakai Island Castle is a confection of pink and red brick with defense walls and fortified towers that was built in the middle of Lake Galve by Grand Duke Kestutis in the 1430s. 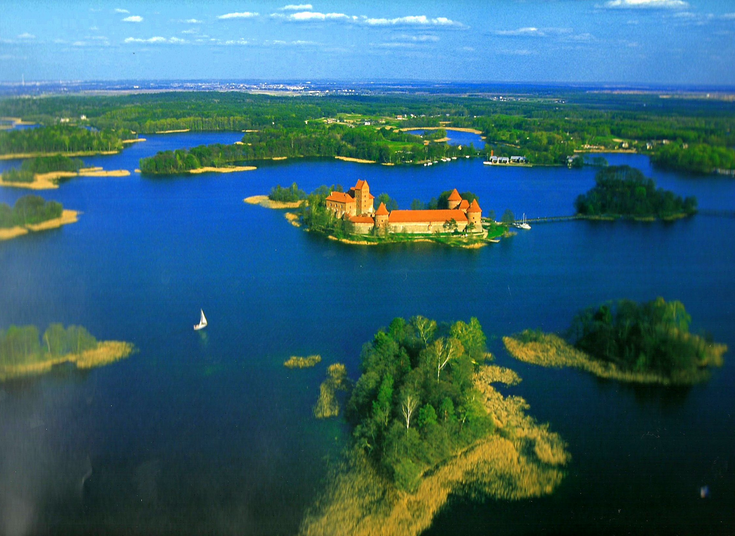 Trakai Historical National Park was founded on April 23, 1991 to preserve Trakai as a centre of Lithuanian statehood as well as the park’s authentic nature. It is the only historical national park not only in Lithuania but also throughout Europe. 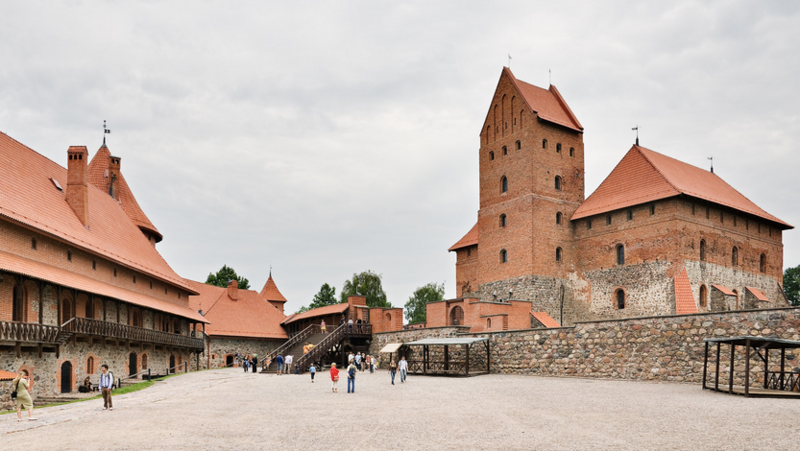 For several centuries it was the center of Lithuania’s political life but when the capital was moved to Vilnius in the 16th century, the castle slowly fell into disrepair. 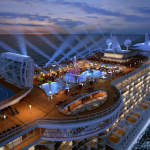 I am sure you will enjoy your trip to Lithuania because there are many landmarks worth seeing. Enjoy.